Weezer’s eighth studio album. I remember back in 2003/2004 when Weezer fans wondered if there would even be a fifth album (eventually, 2005’s Make Believe solved that dilemma). Now, Weezer has released three albums over the past three years, and by the few recent interviews with frontman Rivers Cuomo that I’ve read, they aren’t planning on waiting multiple years between albums anymore. We’ll see how that works out, though. 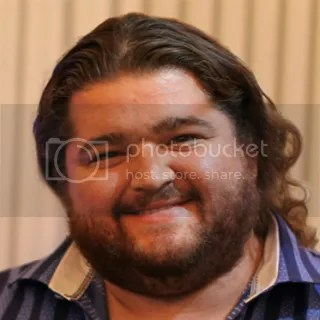 Anyway, Hurley is named after Jorge Garcia’s character from the show LOST and features Mr. Garcia on the cover as well. I guess no one knows what this has to do with the album itself, so we’ll just continue on our merry way. I’ve listened to this album a few times now and I guess the best way to sum it up is that it sounds exactly like how a Weezer album is supposed to sound these days. Alternative pop. Just the typical upbeat power-pop/rock sound that we’ve come to expect from these guys. I mean, it’s not bad, but it’s not all that memorable either. I know that a lot of people, myself included, listen to new Weezer albums when they come out for catalog completion’s sake. But after that, we rarely return, instead opting for Weezer classics like “Blue” or Pinkerton. So, thanks, Hurley, it was kind of fun while it lasted — now go back in your case. This entry was posted on September 20, 2010 at 12:00 pm and filed under TheSlacker. You can follow any responses to this entry through the RSS feed.